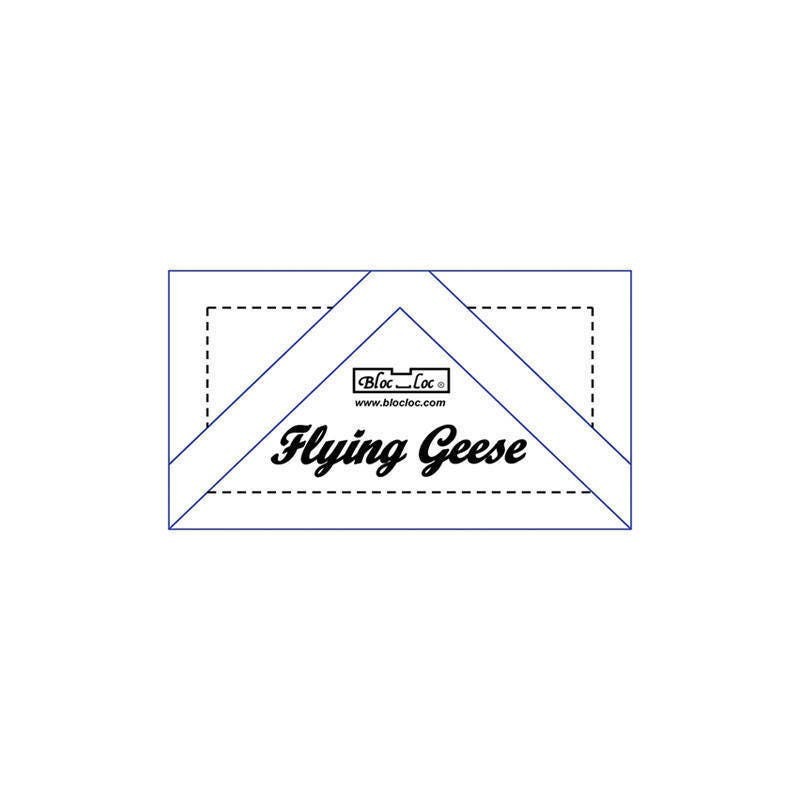 Bloc Loc Flying Geese Rulers lock onto both seams and allow you to trim flying geese blocks and square in a square units fast. Construct the units using your favorite method and use Bloc Loc Flying Geese to trim to perfect size. Sold by finished size with simple instructions for oversized cutting and construction included. 1 3/8 x 2 3/4"